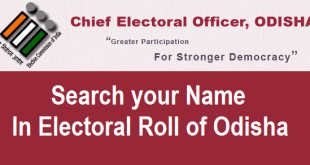 How to Search your Name in Electoral Roll (All States and Union Territories) ? Voter ID Card or Election Card is an important government document in India issued by Election Commission of India(EPIC). How to Link Aadhaar Card to Voter ID Card ? Note : ‘Name’ is mandatory to enter. However, there may be multiple entries by your name, so it is suggested to enter as much details as possible. This will help you get the exact match of your EPIC Details. Note : ‘EPIC No.’ is mandatory to enter. There is only one EPIC Number per person, so it is a unique number assigned to you. Even if you do not enter the State you will get the exact match. While linking your Aadhaar Card to Voter ID, you will need your EPIC No. You can use this process to know your EPIC No. if you don’t have your Voter ID card with you. How to Apply for Voter ID Card in Delhi ? 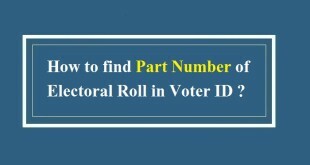 How to find Part Number of Electoral Roll ?